When considering an artist for Pop-up Residence at Greenhill we like to make sure that they possess a certain charm. A charm that I think ArtQuest is known for. Tilley brought just that! Her knitted and crocheted works bring together her love of poetry and typography, as well as symbolism through her own personal experiences. Her rich knowledge of textiles gives you that warm feeling you’re looking for this time of year. 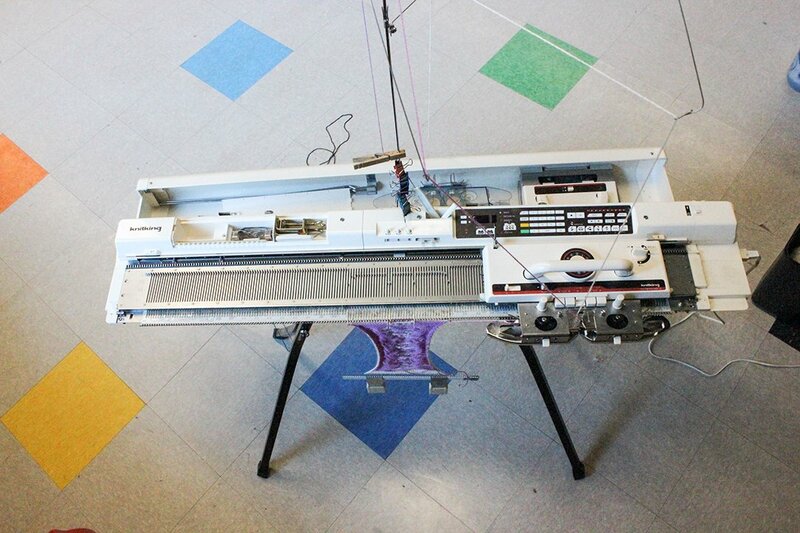 Not to mention, her charming knitting machine she uses for large and bulk jobs, which is just as much fun to use as it is to look at. Ann graduated from Durham School of Arts and later achieved a BFA in Fashion & Fibers from Savannah College of Art & Design in Savannah, Georgia. Since then she’s worked closely with numerous galleries and expositions throughout North Carolina, California, New York and the list goes on. She currently works as a seamstress and full time artist in NC, so sadly she won’t be with us forever. But she will be here until Friday, November 6, which is plenty of time to stop by to see her work! 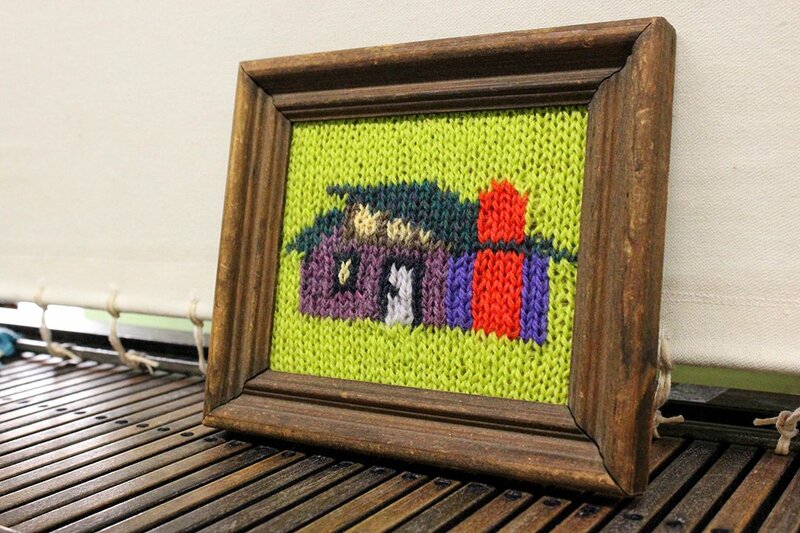 Join us Tonight (Wednesday, November 4) from 5:00-7:00 for Free Family Night and get a chance to chat with Ann about her work, or try your hand at the knitting machine to create your own piece. Ann is asking participants to respond to the questions “What does your home look like?” and “What objects remind you of home?” through drawing. 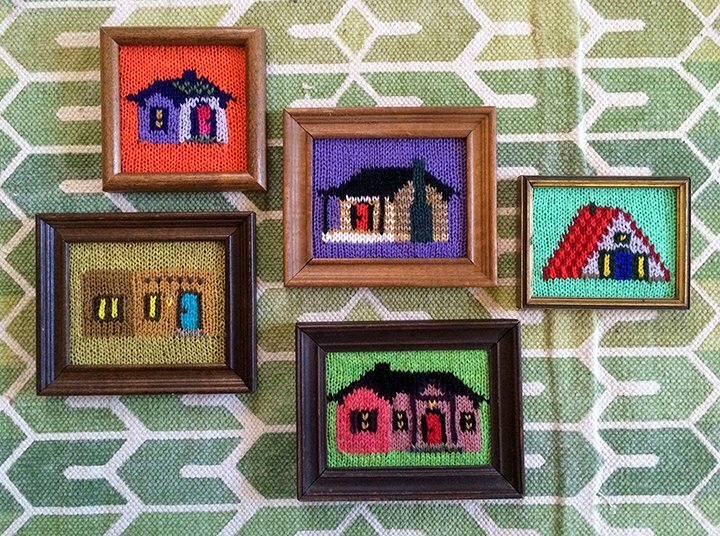 Ann plans to take these drawings and create them as finished knit pieces for a collaborative piece entitled “Our Home” which will be display during First Friday November 6, 2015.